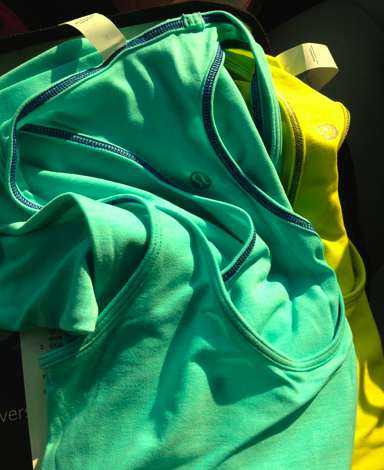 Spotted in a US store just now, Angel Blue and Split Pea Cool Racerback. Angel Blue is definitely on my need list. They are heathered and super soft like Pow Pink! !